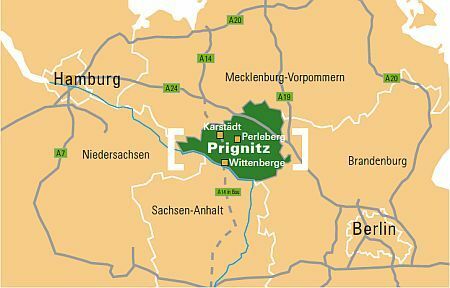 The Prignitz. A prime Location. Between the metropolis of Hamburg on the Elbe River and the German capital of Berlin, in the hinterland of a world-class international port, lies the economic region of the Prignitz. It draws upon a body of 10 million people within commuting distance. With its access to the motorway, the Elbe River and high-speed rail, the Prignitz region is well positioned and connected both nationally and internationally.